Here is a list for people looking for open positions in the healthcare sector – best cities with the most healthcare jobs in 2017 – where you can find places with more than 100 job posts per 10,000 residents. For most healthcare professionals finding a job should be relatively easy. In last few years healthcare has been a significant driver of employment growth in the US. Between 2010 and 2016 the employment in the industry has increased 42%, while 4.6 million jobs were added. The majority of new openings appeared in hospitals (1.1 million), home health care services (728,800) and physicians’ offices (726,600). A few factors influenced the increase – aging population, a rise in the number of patients suffering from chronic conditions, and Obamacare, which brought health insurance to 20 million people since it was introduced, subsequently creating the strong demand for healthcare professionals. According to Goldman Sachs’s report, since 2012 half a million of all new jobs in the sector were created due to the implementation of Obamacare. However, the recent debate over Affordable Act Care has slowed down the employment growth in the healthcare industry. Latest BLS data show that during first four months of 2017 the industry added 77,800 positions, which accounted for 10.5% of all jobs created in the US since the beginning of the year. Compared to the same period of time last year, when 119,800 healthcare jobs were opened (16% share of all new jobs), it is evident that the sector is not so eager to add new positions. Despite recent bumps on the road there is little doubt that health care will continue to add new openings in the future, with or without AAC. It will also remain one of the most attractive industries for young people entering the job market. Among top 100 jobs in 2017 – ranking that was based on demand, salary, and future prospects – more than a half are in the healthcare sector. 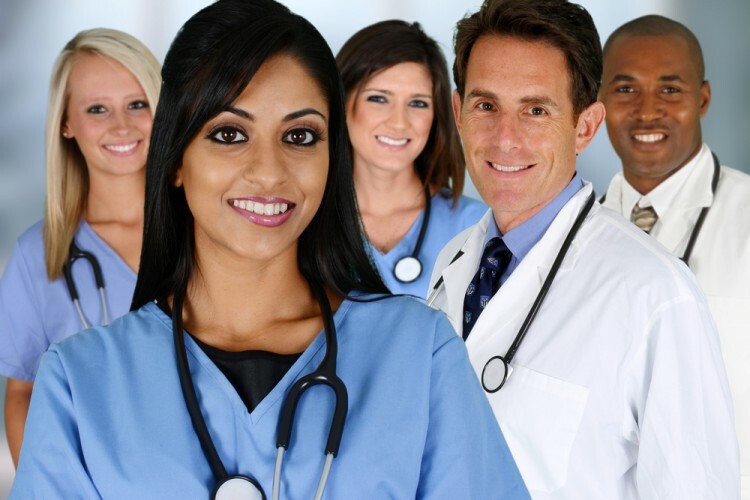 Supporting occupations in healthcare (nurses, technicians, assistants) as well as different medical specialists ranked high on the US New’s list. The ranking also included administrative positions within the healthcare industry. If you are interested in best destinations for medical secretaries, coders, billers, transcriptionists, and similar, you can check our previous article on Best States with Most Health Care Administration Jobs. In creating the list of the best cities with the most healthcare jobs in 2017 we used as a source one of the largest job sites Indeed, which we accessed on June 11th. First, we determined which cities have the greatest number of healthcare jobs in each state. We took into account places which offer more than 1,000 positions. In some states there were no cities with more than 1,000 jobs so we decided to include cities offering the greatest number of openings. Then, we calculated the number of healthcare job posts per 10,000 residents in each city and ranked places accordingly. Other important criterion we used was cost of living, which we obtained from Sperling’s best places. Combining number of jobs per 10,000 and costs of living we created this list of best cities with the most healthcare jobs in 2017.